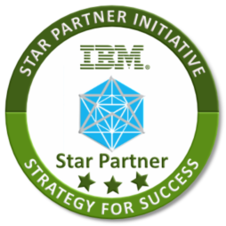 AVETTA Global is officially recognized as a Star Partner by IBM. This achievement is very important to us – and it’s important to our clients too. It means that we have developed the skills, knowledge and resources needed to ensure that our projects meet IBM’s “Strategy for Success”. Standing shoulder to shoulder with IBM, we mean it when we say, “Relax. We’ve got you covered”. © 2019 AVETTA Global. All Rights Reserved.